Journalist Temesgen Desalegn, Managing Editor of Le’ilena (Magnanimity) Amharic Weekly Newspaper,today said that his new paper is facing an imminent danger of closure. It was the newspaper’s fourth issue since his two previous papers, Feteh and Addis Times were forced to close by the Regime. In his article entitled “The Zombies are coming”, Temesgen said that his new publication is now under an integarted attack and campign by magazines that proclaim themselves “private and free” and a governmental body to “censor” Le’ilina. “These parties” says Temsegn “have signed an article of faith to eliminate Le’ilina Newspaper before the coming week”. This was the reason why we published on our last week’s issue alerting that the regime was starting a defamation campaign against the publisher’s of Le’ilena Newspaper by using these so called “Free” magazines as proxies, he added. 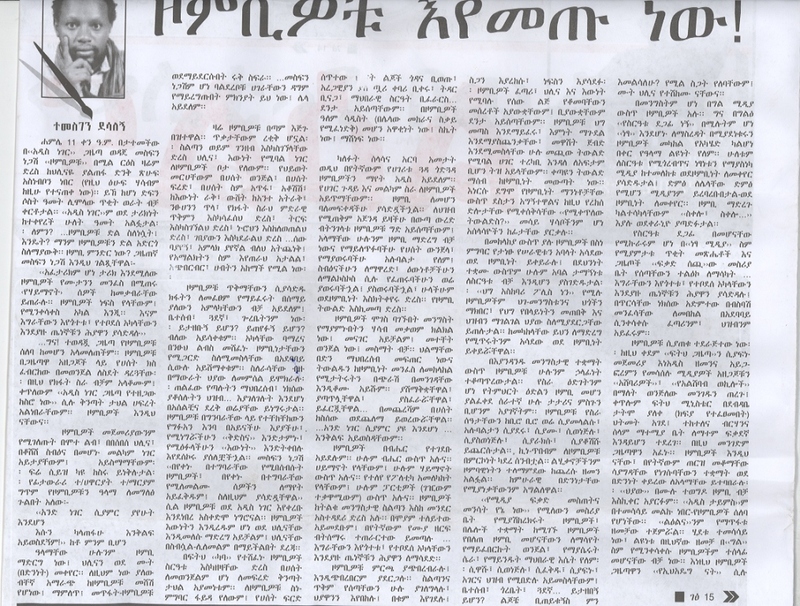 This article, written by making repeated and particular reference to former co-founder and writer of the defunct Addis Neger Newspaper, Mesfin Negash’s metaphorical article on Zombies and Ethiopian politics,fiercely criticises and bashes the Ethiopian Broadcasting Authority, a body designated to accredit and ban media in Ethiopia. According to the US-based Committee to Protect Journalists (CPJ), between 2008 and July 2011, the Ethiopian government filed 41 lawsuits against Temesgen. When his recent charges are added, Temesgen was charged over 100 times.